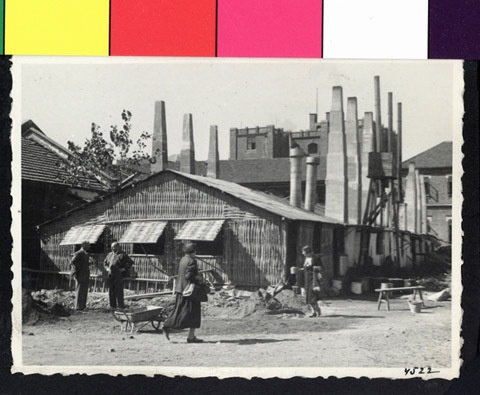 JDC - Archives : Refugee housing in Shanghai. Search > Search Results > Refugee housing in Shanghai. Title Refugee housing in Shanghai. Description Refugee housing in Shanghai. The street has multiple tall chimneys.